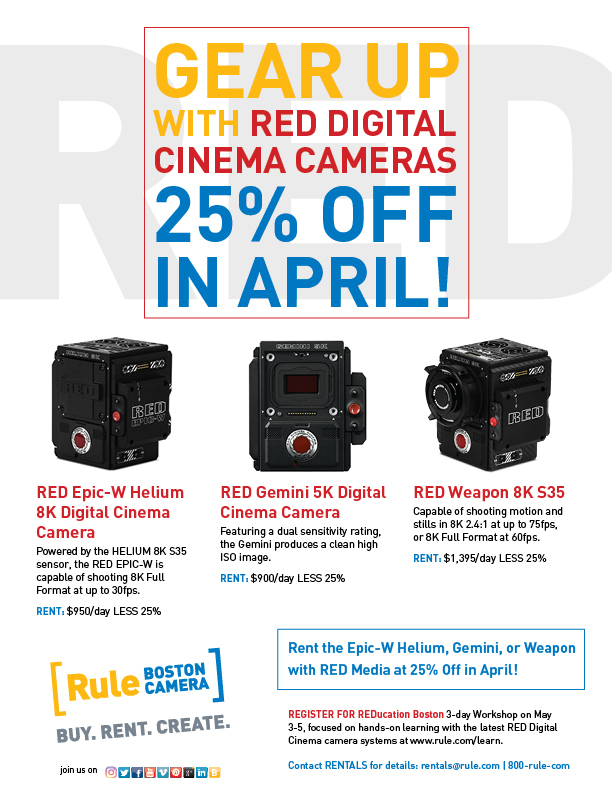 All-month-long, we’re offering a 25% discount on your favorite RED Digital Cinema Camera. 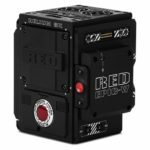 Rent the Epic-W Helium, Gemini, or Weapon with RED Media at 25% off through April 30th. 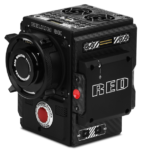 Powered by the HELIUM 8K S35 sensor, the RED EPIC-W is capable of shooting 8K Full Format at up to 30fps. Featuring a dual sensitivity rating, the Gemini produces a clean high ISO image. Capable of shooting motion and stills in 8K 2.4:1 at up to 75fps, or 8K Full Format at 60fps. Contact Rentals by email or phone at 617-277-2200 (800-rule-com) to schedule your discounted RED Rental Rate in April! 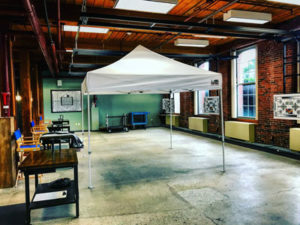 You can also REGISTER FOR REDucation Boston, a 3-day workshop taught by AbelCine’s Director of Education, Jeff Lee, here at Rule Boston Camera over the weekend of May 3rd-5th. Click here to learn more and register. Post -production has always been an integral part of the process when creating visual media. From cutting-up film strips with a razor blade, to rendering out 8K composite images — the spectrum of technology used in post is huge, and, sometimes, prohibitively expensive. With the new advances in resolutions and codecs, it’s getting harder and harder to cut a project on your tried-and-true laptop. Offering an edit system for rental is a lot harder than you’d think, so we’ve taken our time and listened to our clients to try and offer the smartest, most-reliable packages possible. As anyone who has used a computer can attest to — sometimes, they get weird. That’s a deal-breaker for a us. 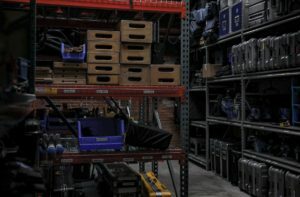 To go all-in on renting edit systems, we needed to make sure our builds and gear choices were as bulletproof as possible. 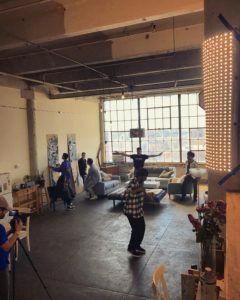 Rule is unique in this way — we’re the only Rental house offering professional edit systems and support for traveling editors, graphic designers, colorists, post supervisors, and even students. 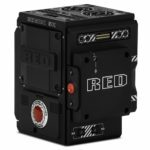 We figure if you can rent that new RED Digital Cinema camera, why can’t you rent a system powerful enough to work alongside it? We came to the conclusion early on that Apple was the way to go when it came to reliability. Therefore, our entire fleet of edit systems is comprised of various levels of Macs — but that’s not the whole story. 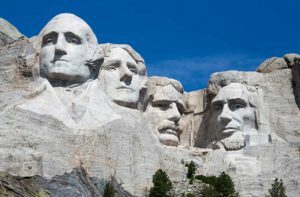 As any editor knows, it’s not just the computer that makes the system work. 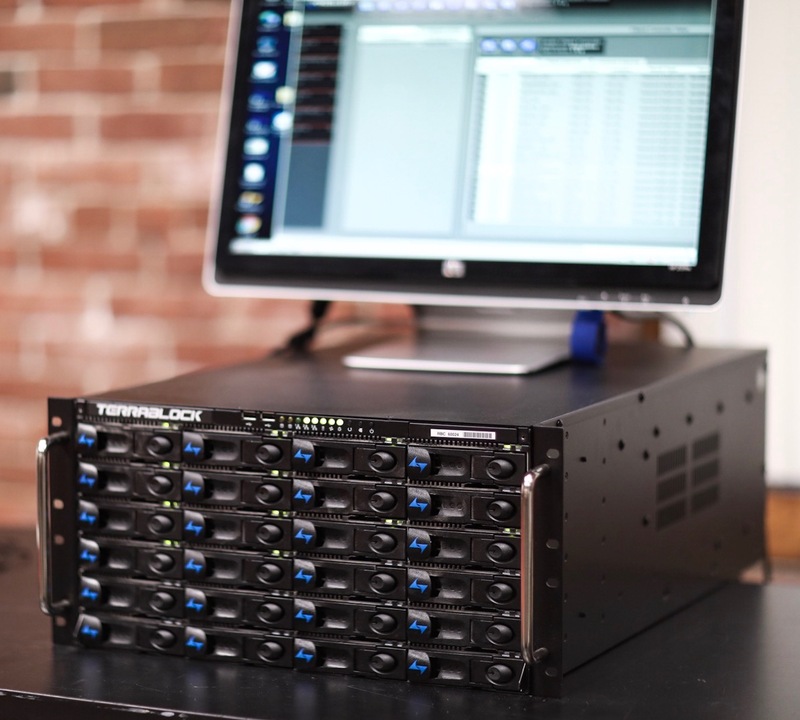 We’ve also sourced reliable hardware for all the other odds and ends you might need in your post suite, including I/O, audio monitoring, calibrated grading monitors, and everything in between. We offer a number of tiers, and, in addition to prepackaged options, we are more than happy to work with you to piece together exactly what you need. 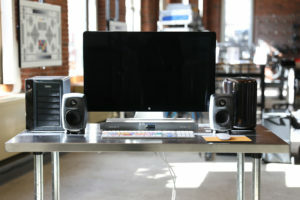 Currently, we offer the latest Mac Pros, in both 8 core and 12 core options. For a more budget-conscious system, we’ve got you covered with the 27” iMac Quad Core, and, for our clients that are on the move, 15” Macbook Pros. All systems come with FCPX, but we also have add-on software options offering Adobe Creative Cloud, Avid Media Composer, DaVinci Resolve Studio, and more. 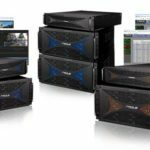 We are fully stocked with Blackmagic Ultrastudios, Mackie Mixers and Audio interfaces — all pumped through some truly awesome-sounding Genelec studio monitors. Doing color work? 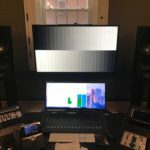 Why don’t we add a calibrated Sony OLED or Flanders monitor to the mix? We’ve even got RAID and Shared Storage options available. You gotta put that footage somewhere, right? We’re very excited to offer this variety of rental options (available as Edit System – Package A, B, or C), and we can’t wait to hear from you! Call or email to talk to our Rental Agents about our rental packages or our customized edit systems for rent! Whatever your post needs call for, we’ve got you covered. 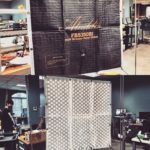 The Aladdin Fabric-Lite 350W is our newest LED 3×3 panel that can be folded and flexed. I’ve found that the best part about this light is its flexibility — because it’s made of fabric, it can easily be folded and packed into a backpack. This makes it easy to take pretty much anywhere. I took the Fabric-Lite on a recent shoot to NYC, and it was the perfect choice. 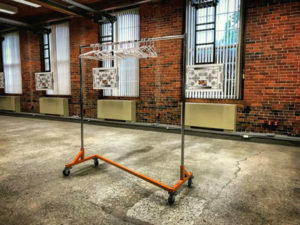 I folded and packed it away in my camera bag for traveling, and when it came time to use it, I tied it up high around a pillar to use as a fill light. Another fantastic feature about this light is that you are not restricted to AC power. It comes equipped with two gold mount plates for your battery power needs, which makes it easy to use. The light has a color temperature range of 2900 to 6200k with a CRI of 97. Interested in renting the Aladdin Fabric-Lite 350W? Contact Rentals by email or phone at 800-rule-com. The demands on today’s focus puller are ever-increasing. Extremely sharp, modern lenses, ultra-high resolution cameras and the expanding popularity of full-frame lensing and formats are challenging camera assistants everywhere. 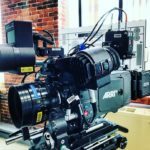 In addition, productions are increasingly shot with higher page counts per day, leading to less or no rehearsal, more shots with wide-open lens apertures and generally adding more stress to the focus puller. 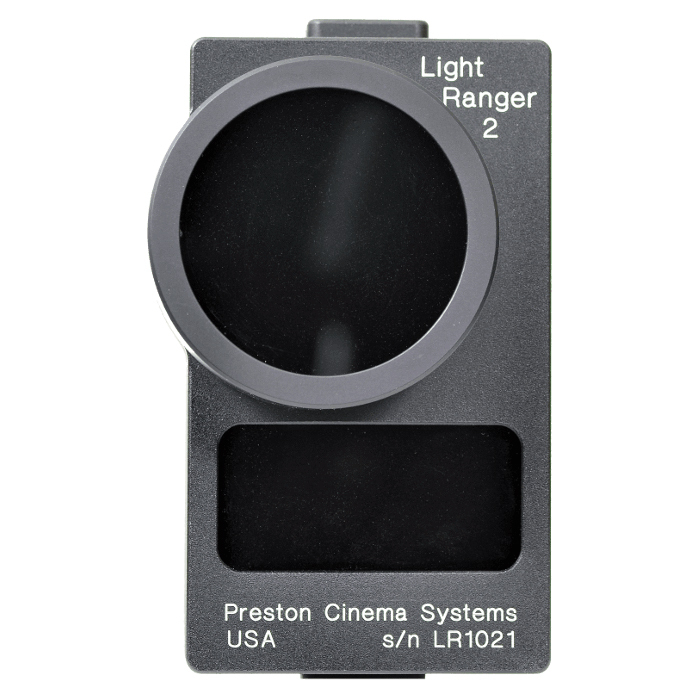 Enter Preston Cinema Systems’ Light Ranger 2. It’s a device with LED sensors that tracks subjects’ distance; when coupled with a PCS HU3 handset and a MDR3 or MDR4 motor driver, it becomes a powerful tool for the focus puller. The tracking data is relayed to a video interface which overlays sixteen vertical white boxes of the sensor over a live camera signal. This enables the user to remain looking at a monitor instead of splitting their attention between hand unit marks and live-video. In Manual mode, these bars move up and down indicating whether an object inside the white box is closer to or farther away from camera and how much the user needs to move the lens and at what speed. When an object is sharp, the box turns a reassuring green. In Basic mode, the individual bars give an individual distance read-out as if sixteen laser-tape measures were atop the camera. The most stunning feature of the Light Ranger 2 is Auto-Focus mode. With a button-tap on the HU3 the LR2 will display a user adjustable (size and position) red box representing the subject to be kept in focus. Pushing another button on the hand unit, the focus will ‘park’ on the object and stay focus sed independent of any camera movement; very helpful when subjects wipe the frame. 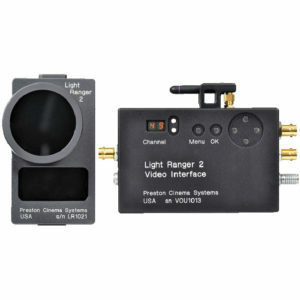 The Light Ranger 2 is available to rent here at Rule Boston Camera. Contact Rentals by email or phone at 800-rule-com. Join us for an overview of the LR2 on Thursday, March 21st from 12n-1pm. No RSVP’s needed. Click here to view the event on our website and here to view the event on our Facebook page. EXTENDED + EXPANDED! Due to popular demand, we’re extending Full-Frame February to MARCH 15th with 30% off Zeiss Supreme Primes + Cine Sigma Primes, PLUS we’re adding Zeiss Zooms (28-80mm + 70-200mm) to the discount! All are available at 30% off through March 15th! The Zeiss Supreme Primes aka “Super Speeds” for the full-frame, digital-cinema age, pack an incredible amount of optical clarity and refined imaging beauty into a lightweight compact lens. With each lens designed to cover a full frame 24x36mm sensor and a 46.3mm image circle, you’ll want to utilize the lenses’ “sweet spot” for astounding images with Super 35mm imagers. 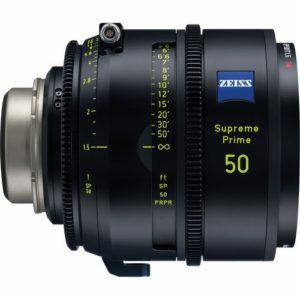 Zeiss Supreme Primes are available to rent in 25mm, 29mm, 35mm, 50mm, 85mm T1.5 Prime with the 100mm Coming Soon! The rate per lens is $200/day LESS 30%! The Sigma Cine full-frame, high-speed prime lenses are compact + lightweight, delivering crisp, high-resolution images. Each lens in the set is matched, features standard .8 gearing on the focus and iris rings, and all have a common 95mm front diameter. 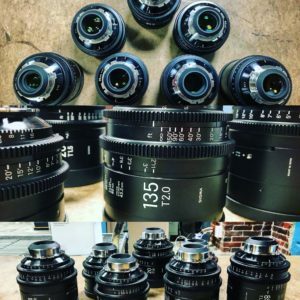 The Sigma Cine Primes are available in 14mm, 20mm, 24mm, 35mm, 50mm, 85mm, and 135mm ranging from $70-85 each per day LESS 30%! The Zeiss 28-80mm T2.9 Compact Zoom Lens is a standard zoom lens, great for motion picture production with full-frame coverage and no focus shift over the zoom range. The cine-style housing features calibrated focus scales and industry standard gearing for focus, iris and zoom. Lens is available in either PL or EF Mount. Rent it for $350/day LESS 30%! The Zeiss 70-200mm T2.9 Compact Zoom is versatile and robust, with cine-style housing, full-frame coverage and interachangeable mounts. Lens is available in either PL or EF Mount. Rent it for $350/day LESS 30%! Contact Rentals by email or phone at 800-rule-com for more details or to schedule your rental. Click here for our flyer, and feel free to share!